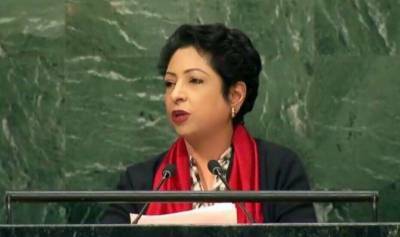 At UN, Maleeha Lodhi reiterates Pakistan’s position on representation to Security Council. At the United Nations , Pakistan has voiced its firm opposition to the creation of new permanent seats in any reformed Security Council. Speaking in a debate in the General Assembly on Security Council reform, Pakistan’s Ambassador to the UN, Dr Maleeha Lodhi reiterated Pakistan’s position on representation to the Council. She said that additional permanent seats were contrary to the universally agreed principles of democracy, accountability and transparency. Maleeha Lodhi criticized the position taken by a handful of countries demanding a permanent seat in the Security Council. She called for an expansion in the non-permanent category of membership, based on equitable geographic distribution and a system of fair rotation and said that this solution was both fair and just, and was supported by all member states and groups.